This is a St. Patricks party that is worth waiting for! 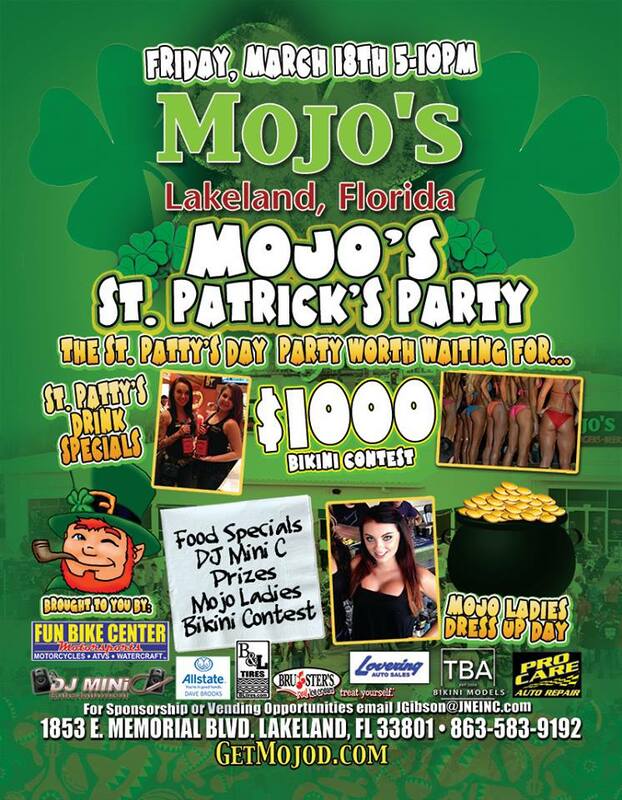 St. Patrick’s Day is one of the biggest holidays celebrated at Mojo’s Wings, Burgers, Beer. This year they’ve decided to make this event even bigger than ever by hiring us, TBA Bikini Models, to host a bikini contest! NO BOOTY SHAKE, Judged by a Panel (not crowd cheer). Like Hooters / Hawaiian Tropic regional contest, except all ladies will be allowed to see the score cards. It isn’t up to us who wins, we do this for fun and exposure! We would like to cap the contest at 18 girls, but will accept all the way up to 22. Please pre-register if you plan to compete. This entry was posted in Bikini Contest, Events, St. Patricks Day, Upcoming Events and tagged bikini contest, florida, lakeland, model search, models, mojos, tba bikini models.